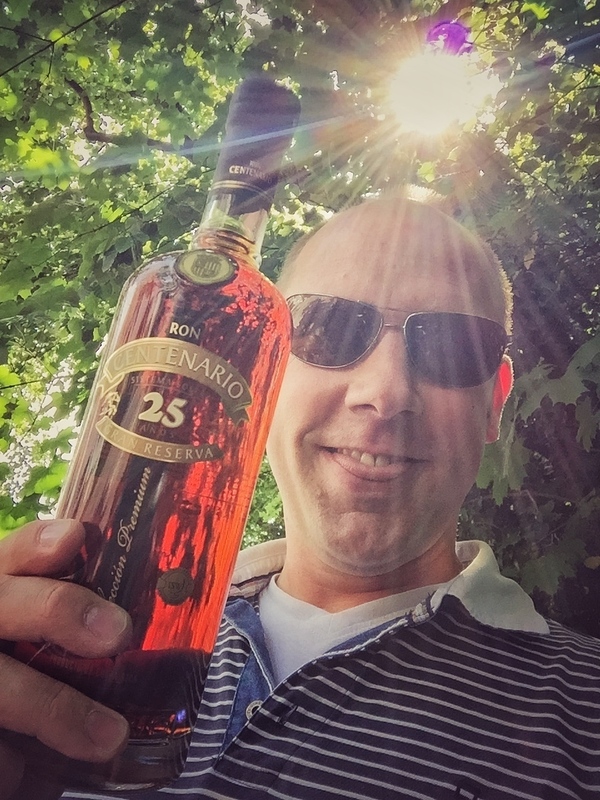 Have you found an online vendor selling Ron Centenario 25-Year? I was gifted this nice bottle by my Ride-Or-Die Chick and had been looking forward to trying it for some time. In the glass, the alcohol scent is present but flows nicely with the molasses and cola aroma. At first taste, you get rich dark fruit followed by a noticeable but mellow oak flavor. Smooth on the back end with a good heat in the chest. A delicious thing that can only be enjoyed in small doses due to its heaviness, very much like my Ride-Or-Die Chick. Sugar: 41to 45 gpl. This is a fantastic rum. Great aroma of brown sugar, Christmas cake, Cedar or fresh cut Oak dipped in Vanilla. Take a couple long sniffs before you even taste this rum to savour the aroma. Similar in sweetness to the 20 year old but the smell and taste of this one is just that much better. No burn on entry, smooth and soft on the palate followed up with some nice long lasting heat but no burn. A fantastic sipping rum. Don't even dare to mix this with anything. This rum is about $20 USD more than the 20 year version, but in my opinion it's well worth the extra money. If you liked the 20 year old vintage, you will love this one. Get 2 bottles. You won't regret it. My first review on this site (like the site 😃). I'm a fairly inexperienced rum drinker, especially when it comes to the more expensive bottle. This Centenario 25 is the most expensive I ever bought but fell in love with it, truly a very nice and smooth rum. It's easy to drink and has a great smell to it, enjoy smelling the cork, it's awesome. This is what aged rum is all about. Not super sweet just good tasting smooth delicious rum like a fine cognac! No ice! Just a snifter or rum glass. If you are ready to move to a sweeter rum than the richly-spice, perhaps perfectly-balanced Ron Zacapa 23, then Ron Centenario 25 is the ideal choice. The 25's sweetness borders on the syrupy. Yet, there is so much piquant rum-ness present that one merely luxuriates in the extra sugar. I prefer big blooming vanilla rums over those that dry out the spices and merely hint at caramel and fruitcake. My favorite budget rum, Ron Abuelo Anejo, for example is more deply satisfying than Ron Centenario 5. 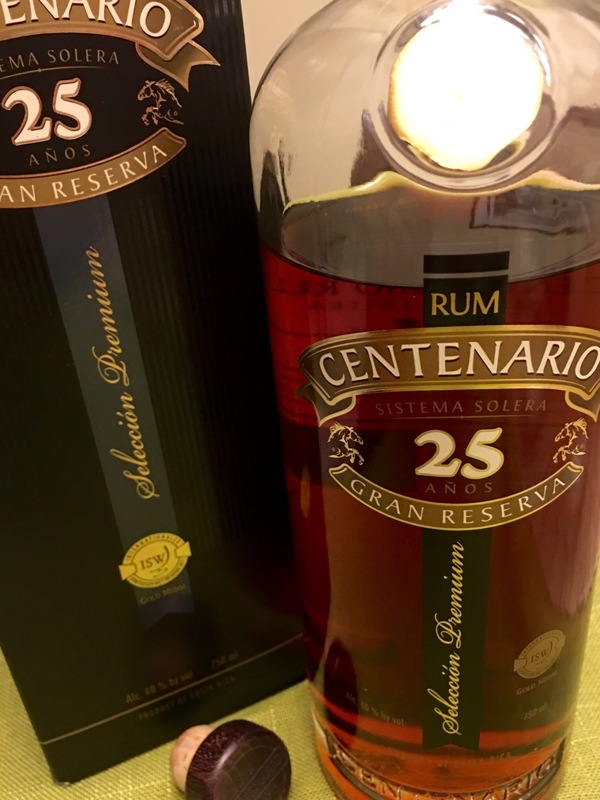 Yet, between 5 and 25 years or whatever the numbers stand for, Ron Centenario 25 transforms itself into one of the most delicious libations on the planet. Although it may be cloyingly sweet for purists, RC 25 conveys the casual drinker to the promised land of rum and honey. Not very impressed. Think twice if you prefer dry or pungent rums. You'll like this if your in the El Dorado camp. For the price I would have liked the ABV to at least be 42%. Bottled at 40% with this amount of sweetness is not for me and it's obviously catered to an audience that prefers smooth over interesting. There is some depth here but I just keep getting distracted by sugar and cola always rushes to mind. Being a solera system the '25' years can be a bit deceiving, sure there is rum at the bottom of the stack thats been around for 25 years but it's always mingling with spirits trickling down from the top. I'm okay with this method but it always seems to produce overly sweet end results. Thinking of Papas Pilar and a triple cream sherry that uses the pyramid. And I'm not certain that sugar hasn't been added as well. Given the sweetness I can only assume it has and if it hasn't then it's a bit of an achievement how Centenario got to this point of cloy unadulterated. There are far far better rums at this price. Especially if you like distillers such as Foursquare or Richland. Wish I could return the Centenario and get one of those. Looks like I need to work on my time machine. I think Centenario 20, 25 and 30 year is some very good rums, but this one must be the best for the price. it has a dark golden color, and is very enjoyable to sid down and smell to. The nose offers notes as caramel, vanilla and hints of chocolate and nuts. The palate is also very enjoyable and easy to drink, and there I find notes as vanilla, caramel and oak that ends up with molasses. The aftertaste is long and sweet! This is one of the easier drinking rums I've had. It doesn't smell or taste like it's 40% (more like 35-39%). It has a wonderful sweet caramel smell to it, and tastes equally nice too. Sweeter than the Centenario 30 (and even slightly better imho), this is simply an exceptional rum! A bit of sweet taste, but great Solera-style nonetheless. Very similar to 20y. Highly recommend you try this. I can't imagine you'd be disappointed. The color is spot on amber. The nose is inviting and has no burn, it is very smooth. The flavorful aftertaste doesn't linger long and sweet liquids Cascade around your pallet begging for more. I am intrigued if this has ruined my chances of liking the 7 year or should I just go straight for the 30 year. After revisiting it lacks the complexity of lesser prices rum. So I took it down to a 7/10. Very smooth. Does not need to breath as compared to the younger Centenario rums. Nice aroma, drinks easily and leaves a nice warm after taste. This Centenario 25 has a nice amber/gold color which is most probably due to the caramel which is well present with a little touch of vanilla. Alcohol taste is well present at the begining but not too much. The after taste is long and pleasant. Really easy to drink. It will stay most probably a long time in my top 5 ! :-) Enjoy ! Got is a a gift from my father in law. A bit sweet, very smooth. Subtle vanilla and caramel. Drinks easy and is very, very enjoyable. Get one, you won't regret it! Can't wait for my next trip to Costa Rica to replenish my stock. You have to try this one. Drink it neat! It is a benchmark for so many other. Eftersmagen er lang og behagelig. in dieser preis klasse der beste rum den ich bisher probiert habe! süss geschmackvoll angenehm langanhaltender geschmack! I was expecting more quality on this 25 years old. Too much sugar on it. Great hints of vanilla add to the flavor of this great tasting and well aged rum. Haven’t had many runs aged this long but this and the 30-year are my favorites by far! Skvělej rum, za mě podobná liga jako Zacapa 23, takže v pořádku.